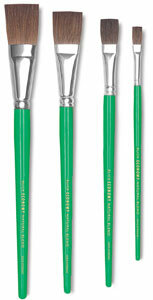 This low-costing lettering brush has a mixture of soft, natural hairs that form a sharp, reliable edge. 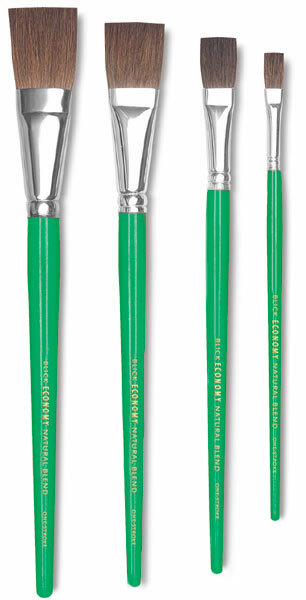 It is set in a seamless, aluminum ferrule on a short green, lacquered handle. Set of 4 — This set includes sizes 1/4" through 1".